Greetings Everyone! I hope this finds you all healthy, wealthy and well, at least the healthy and well part, anyway. It’s time for another update on all things Mitch Hayes Music. For starters, things are moving along nicely, in the recording studio for the new CD and we hope to release two singles this month or early May. That’s exciting, for sure! We’ll keep you posted on our progress. Plans are well underway for the upcoming May 15 – June 5 Tennessee to Texas Tour. To kick things off, I will be attending the 2019 Southeast Region Folk Alliance (SERFA) conference, in Chattanooga, TN from May 15-19. What fun that will be, playing in four showcases as well as doing some networking and meeting my fellow songwriters and attending some killer workshops. On Wednesday night, I’ll be playing in the First Timers Showcase, on Thursday it will be the LilFest Showcase and the Old Songs Challenge, in which all the participants perform an old traditional Folk tune, that one will be fun. On Friday, one I’m really looking forward to, it’s the Murder Ballad Showcase. Now, who doesn’t like a good murder ballad? Then on Saturday, I’ll be playing in Doc’s Guitar Pull, a Nashville style songwriters in the round, show. What a week! After SERFA, I will be playing my way out to Texas, where my daughter will catch up with me. She and I will then be playing three shows in Austin, four shows in the Dallas area and one in Fort Worth. Then we will play our way back to North Carolina. Here are the shows booked in Texas, I’m still working on booking the shows on the way out and back. I’ll update you all when those dates are confirmed. In other news, plans are in the works to attend and hopefully land a showcase in the 31st annual Falcon Ridge Folk Festival in Hillsdale, New York, August 2-4. 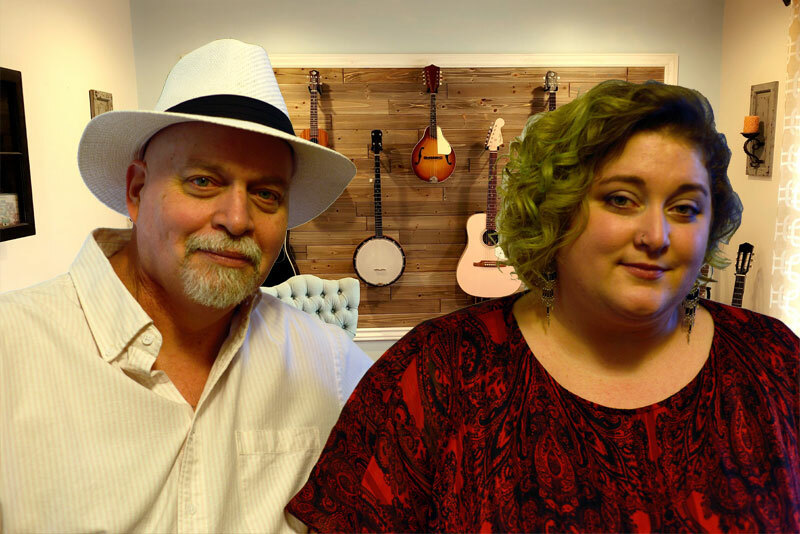 We are also in the beginning stages of planning a Northeast tour, sometime late October to mid – November, to include attending and hopefully performing in the Northeast Region Folk Alliance conference in Stamford, Connecticut, November 7-10. So, as you see, along with a rather full local gigging schedule I’m keeping quite busy and I wouldn’t have it any other way. Did you know? 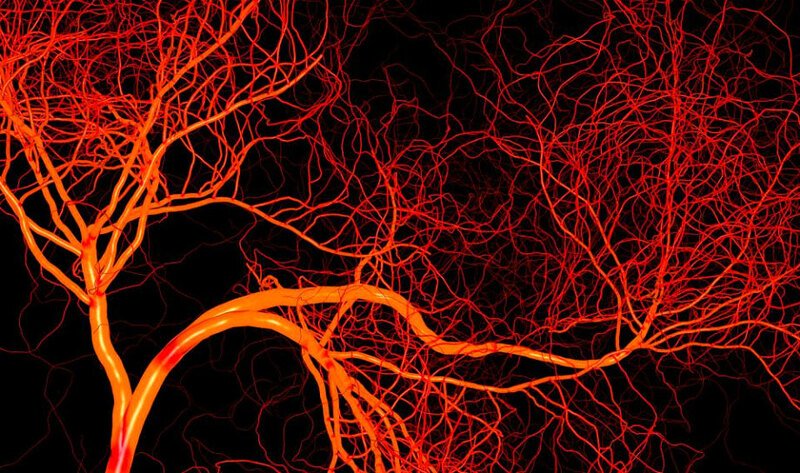 The blood vessels in the human body may be small, but they cover a lot of ground. They range in size from the Aorta which is a little over an inch in diameter, to the smallest capillaries with a diameter of 5 – 10 micrometers. To give you some perspective, a strand of human hair measures about 17 micrometers. But if you took all the blood vessels out of an average child and laid them out in one line, the line would stretch over 60,000 miles. In an adult, they would be closer to 100,000 miles long. Now consider the fact that the heart pumps about 2,000 gallons (7,571 liters) of blood a day through its chambers. This works out to about 83 gallons per hour, or nearly 6 quarts per minute. And the blood makes this round trip in about a minute! Can you say speeding ticket? What an amazing piece of work is the human circulatory system! You are why I continue to do what I do! They say that music is the language of the heart, and I believe that to be true. That’s why I view what I do for a living to be all about the love of people and the connections we have in our lives. Writing and performing my songs is all about connecting with people on an emotional, spiritual and intellectual level and making a difference in their lives and mine. It’s this connection with other human beings that make it so magical. It’s what makes my life fulfilling and filled with purpose and it’s you, my family, friends and fans that make it this musical odyssey so special. So, I hope you will all keep on listening, singing along and coming out to my shows. See you soon!